4th World Conference Planning Committee Co-Chairs: Melissa Anderson, University of Minnesota, U.S. & Sabine Kleinert,The Lancet, UK. Melissa Anderson, Co-Chair, University of Minnesota, US. Sabine Kleinert, Co-Chair, The Lancet, UK. Associate Professor at the Science Education Program of the Institute of Medical Biochemistry Leopoldo de Meis (IBqM)/UFRJ. Dr. Vasconcelos organized the I Brazilian Meeting on Research Integrity, Science and Publication Ethics (BRISPE) in 2010 and was coordinator of the II BRISPE and III BRISPE. She has participated actively in the World Conferences on Research Integrity - WCRI and has, since the 1st WCRI gotten involved in international RI/RCR initiatives. She has helped foster these initiatives at UFRJ and other Brazilian institutions. She teaches science communication, research methodology, RI/RCR and ethical publication practices at UFRJ, including a course fully devoted to RI/RCR. She is co-chair of the Graduate Council for Research Ethics (CTEP/UFRJ) and a member of the SubCommittee on Research Integrity of CTEP. She was one of the editors of the Joint Statement on Research Integrity of the II BRISPE. Edson Watanabe, PhD, Full Professor at the Electrical Engineering Program, COPPE. Dr. Watanabe is Vice-Director of COPPE/UFRJ. He has pioneered research integrity policies at COPPE/UFRJ, including those to tackle plagiarism in theses and dissertations. He has instituted a course, offered annually at COPPE, on scientific methodology combined with RI/RCR issues, which is open to non-COPPE participants. He has been active in discussing RI/RCR issues among COPPE’s faculty and has played a substantial role in promoting debates on the topic. Dr. Watanabe led the Commission that established COPPE´s recently released guidelines on research integrity. He is a member of the National Academy of Engineering and of the Sub-Committee on Research Integrity of CTEP/UFRJ. He was a member of the Organizing Committee of the II BRISPE and III BRISPE and one of the editors of the Joint Statement on Research Integrity. Nils Axelsen, MD and DSc.Med, was associate professor at Copenhagen University 1969-78, and has since then had leading positions at Statens Serum Institut, including being director for the institute 1985-88. His scientific field is clinical biochemistry, especially immunochemistry, where he has contributed to development of the powerful Scandinavian electro immunochemical methods, and is editor of three handbooks on this topic. Dr. Axelsen is, since 2008, Ombudsman for Research Integrity at Statens Serum Institut in Copenhagen, and so far the first ombudsman of this kind in Denmark. He is responsible for training all researchers at the Institute’s many departments in Good Research Practice (RCR). Axelsen was one of the founders of the Danish Committees on Scientific Dishonesty (1992), member of the medical committee 1993-2005, and has participated as investigator in many cases of al-legations for scientific dishonesty, and in some 75 decisions of the DCSD. He was member of the Nordic Council of Ministers’ Committee on Bioethics 1994-2001, chair 1995-96. Dr. Axelsen has received the Thorvald Madsen Prize and a Gold Medal from University of Aarhus. He has served on many national and international committees on scientific and science policy, and is a member of Danish Academy f or the Technical Sciences (ATV) and the Danish Academy for the Natural Sciences. Dr. Sun Ping is currently engaging in the work of Secretariat of the Office of Research Integrity, Ministry of Science and Technology of China. His role includes conducting relevant research, the administration of the MOST-ORI-sponsored projects, and the maintenance of a dedicated research integrity website in China (http://www.sinori.cn). He worked at the Chinese Ministry of Education from 1984 to 2002, mainly engaging in international cooperation affairs. Paul Taylor, PhD, is the Director of the Office for Research Ethics & Integrity (OREI) at the University of Melbourne. Paul has worked in research management for 6 years. He completed a PhD in Environmental Microbiology in the Department of Microbiology and Immunology at the University of Melbourne, where he teaches to second year students. Dr. Taylor is Member of the International Programs Advisory Group for the University of Melbourne; Chair of the Universitas 21 Global Issues Program; Member of the University of Melbourne Mobility Advisory Group; Member of the Crawford Fund Victorian branch. Taylor holds numerous honorary adjunct Professorial positions at Nanjing Agricultural University, China; King Mongkut Institute of Technology, Thailand; Kasetsart University, Thailand; Maejo University, Thailand; and cosupervisors graduate students at University of Malaya. Paulo Beirão, PhD, Full Professor at the Biochemistry and Immunology Department, UFMG. He was president of the Brazilian Society for Biophysics (1994-1996) and the Brazilian Society for Biochemistry and Molecular Biology (2006-2008). He was also president of the Board of Trustees of FAPEMIG (2010-2011) and has acted as a representative of the scientific community in various committees on education, science and technology, including those at CNPq. He was a member of FINEP Advisory Council and of the committee that developed the 2011-2020 Brazilian National Plan for Graduate Studies, launched by CAPES. He is a member of the Brazilian Academy of Sciences and former director of the Agricultural, Biological, and Health Sciences Division of CNPq (2011-2013). He was Chair of the Commission on Research Integrity at CNPq (2011-2013) and is currently the director of Director of Science, Technology and Innovation of Minas Gerais Foundation for Research Support. Sonia Vasconcelos (PhD), Associate Professor at the Science Education Program of Leopoldo de Meis Medical Biochemistry Institute (IBqM)/UFRJ. Dr. Vasconcelos organized the I BRISPE in 2010 and was coordinator of the II BRISPE and III BRISPE. She has participated actively in the World Conferences on Research Integrity - WCRI (2007, 2010, 2013) and has, since the 1st WCRI gotten involved in international RI/RCR initiatives. She has helped foster these initiatives at UFRJ and other Brazilian institutions. She teaches science communication, research methodology, RI/RCR and ethical publication practices at UFRJ, including a course fully devoted to RI/RCR, together with Drs. Martha Sorenson and Adalberto Vieyra, at the Carlos Chagas Filho Biophysics Institute (IBCCF). She is co-chair of the Graduate Council for Research Ethics (Câmara Técnica de Ética em Pesquisa, CTEP/UFRJ) and a member of the SubCommittee on Research Integrity of CTEP. She was one of the editors of the Joint Statement on Research Integrity of the II BRISPE. Edson Watanabe (PhD), Full Professor at the Electrical Engineering Program, COPPE. Dr. Watanabe is Vice-Director of COPPE/UFRJ. He has pioneered research integrity policies at COPPE/UFRJ, including those to tackle plagiarism in theses and dissertations. He has instituted a course, offered annually at COPPE, on scientific methodology combined with RI/RCR issues, which is open to non-COPPE participants. He has been active in discussing RI/RCR issues among COPPE’s faculty and has played a substantial role in promoting debates on the topic. Dr. Watanabe led the Commission that established COPPE´s recently released guidelines on research integrity. He is a member of the National Academy of Engineering and of the Sub-Committee on Research Integrity of CTEP/UFRJ. He was a member of the Organizing Committee of the II and III BRISPE and one of the editors of the Joint Statement on Research Integrity. Martha Sorenson (PhD), Associate Professor at the Biochemistry and Cell Biology Program, IBqM/UFRJ; Former Vice-President of the Brazilian Society for Biochemistry and Molecular Biology (SBBq) (2008-2010). At SBBq, she organized the first symposium on RI/RCR at an SBBq annual meeting, in 2010. Dr. Sorenson has contributed to promoting RI/RCR policies at UFRJ and other institutions. She is coordinator of the Sub-Committee on Research Integrity of CTEP/UFRJ. She was co-organizer of the I BRISPE, member of the Organizing Committee of the II and III BRISPE, and one of the editors of the Joint Statement on Research Integrity of the II BRISPE. Adalberto Vieyra (PhD), Full Professor at IBCCF/UFRJ. Dr. Vieyra is former area coordinator for Biological Sciences II (2005-2011) at the Coordination for Advancement of Higher Education Personnel – CAPES, one of the major funding agencies in Brazil and the one responsible for the assessment and accreditation of graduate programs. He is a member of the Brazilian Academy of Sciences and Director of the National Center for Bioimages (CENABIO). He has been a strong advocate for implementing RI/RCR educational policies in Brazilian graduate programs, has contributed seminars on the topic and was instrumental in implementing the first course fully devoted to RI/RCR at UFRJ, which he teaches together with Profs. Sonia Vasconcelos and Martha Sorenson, at IBCCF/UFRJ. He was a member of the Organizing Committees of the I, II and III BRISPE. José Roberto Lapa e Silva (MD, PhD), Full Professor at the Clementino Fraga Filho University Hospital (HUCFF)/UFRJ. Dr. Lapa is coordinator of the graduate program in clinical medicine at UFRJ and serves as the University´s liaison with the US National Institutes of Health. His research is in pneumology, but he has a strong interest in medical education. Dr. Lapa has played an important role in implementing bioethics education through a course for graduate programs in medicine at UFRJ. He has helped to foster RI/RCR policies at the university and is principal investigator on an NIH/Fogarty International Center grant for RI/RCR training in Brazil. Dr. Lapa is a member of the Sub-Committee on Research Integrity of CTEP/UFRJ. He was also a member of the Organizing Committee of the II and III BRISPE. Marisa Palácios (PhD), Associate Professor at the Institute for Collective Health, IESC/UFRJ. Dr. Palacios is coordinator of the Institutional Review Board of IESC- CEP/IESC/UFRJ and Member of the Board for the Brazilian Society for Bioethics (SBB). She has taken an important role in broadening the discussion on RI/RCR at the National Commission for Ethics in Research on Humans (CONEP) and at SBB and has helped to implement RI/RCR policies, including conflicts of interest policies, at UFRJ. She has participated in implementing a bioethics course for graduate programs in medicine at UFRJ and for a graduate program on applied ethics and bioethics, which involves many Brazilian institutions. She is chair of CTEP/UFRJ. Dr. Palacios was a member of the Organizing Committees of the I, II and III BRISPE. José Carlos C.S. Pinto (PhD), Full Professor at the Chemical Engineering Program (PEQ)/COPPE/UFRJ. Dr. Pinto is Associate Director of Technology and Innovation at UFRJ´s graduate school of engineering (COPPE), where he teaches and works on polymers and polymerization processes. He is also Executive Director of COPPETEC, a non-profit foundation that administers annually ~1400 projects that public institutions undertake through contracts with private and public companies and organizations. Dr. Pinto is a member of the Brazilian Academy of Sciences. He has helped to include RI/RCR policies, including conflict of interest policies, in the ethical guidelines of COPPETEC. He was a member of the Organizing Committee of the I, II and III BRISPE. Hatisaburo Masuda (PhD), Full Professor at the Molecular Biology and Biotechnology Program of IBqM/UFRJ. Dr. Masuda is coordinator of the Science Education Program at IBqM/UFRJ and has played an important role in initiatives to broaden RI/RCR concerns at IBqM/UFRJ. Together with Prof. José Carlos Pinto (COPPE/UFRJ), he supervised Dr. Vasconcelos’ postdoctoral project on RI/RCR through a FAPERJ fellowship, which led to focus- group research with graduate students at UFRJ and to the organization of the I BRISPE in 2010. He was a member of the Organizing Committees of the I, II and BRISPE. Francisco Prosdocimi (PhD), Associate Professor at the Molecular Biology and Biotechnology Program of IBqM/UFRJ. 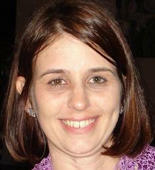 In addition to research in bioinformatics, Dr. Prosdocimi has developed an interest in research ethics and in RI/RCR. He has studied publication ethics and its relationship with open peer review. He has joined RI/RCR initiatives at UFRJ and is currently collaborating with some of them, which include the planning and organization of the II and III BRISPE and a national project on research integrity. Rosemary Shinkai (PhD), Full Professor at the School of Dentistry of the Pontifical Catholic University of Rio Grande do Sul (PUCRS); Dean of International and Institutional Affairs, PUCRS. Professor Shinkai is the editor-in-chief of Revista Odonto Ciência (Journal of Dental Science), one of the major Brazilian journals in the area. She is the only Brazilian member of the Council of the Committee on Publication Ethics (COPE) and has helped raise awareness of issues in publication ethics among Brazilian editors. She has contributed to the development and implementation of RI/RCR policies for all research units at PUCRS. She was a member of the Organizing Committee of the II and III BRISPE. Carla Bonan (PhD), Full Professor at the School of Biosciences of PUCRS; Head of Research of the Office of the Vice-President for Research, Innovation, and Development. Dr. Bonan has had a crucial role in the assessment and monitoring of projects conducted by researchers from PUCRS. She has contributed to educational initiatives on RI/RCR at the university, bridging gaps between the sciences and the humanities in conversations on the topic. In addition, her active role in innovation, research and development has broadened the approach to RI/RCR at PUCRS. Dr. Bonan, in collaboration with Dr. Shinkai, organized the 6th PUCRS International Seminar on Innovation, University, and Research Integrity, in 2011. She was a member of the Organizing Committee of the II and III BRISPE. Claude Pirmez (MD, PhD), Former Vice-President for Research and Laboratories of Reference at the Oswaldo Cruz Foundation (FIOCRUZ). Dr. Pirmez is associate editor of Memórias do Instituto Oswaldo Cruz [Transactions of the Oswaldo Cruz Institute], one of Brazil´s highest-impact journals. She specializes in the immunopathology of leishmaniosis. She has developed an interest in RI/RCR issues and was instrumental in the establishment of the first Commission fully devoted to RI/RCR at a public institution in Brazil, which was created in 2012 at FIOCRUZ, one of the co-organizer institutions of the I BRISPE. She was a member of the Organizing Committee of the II and III BRISPE. Marisa Russo Lecointre (PhD), Associate Professor at the Faculty of Philosophy, Languages and Humanities of the Federal University of São Paulo (UNIFESP). Dr. Russo has studied research ethics and the responsible conduct of research, with special interest in the social responsibility of scientists in their conduct of research. She has participated in local discussions on RI/RCR as an invited speaker in workshops and seminars, especially at universities in São Paulo. Dr. Russo has started a research project on RI/RCR. She was a member of the Organizing Committee of the II and III BRISPE. Luiz Henrique Lopes dos Santos (PhD), Associate Professor at the University of São Paulo (USP) and a researcher at the Brazilian Center for Analysis and Planning. Dr. Santos is Coordinator of Humanities for the State of São Paulo Research Foundation (FAPESP). He is Coordinator of the editorial staff of Revista FAPESP, which has a regular section on research integrity. Dr. Santos has played a major role in the implementation of research integrity policies at and by FAPESP. He has been instrumental in making FAPESP’s Code of Good Research Practices widely recognized as a model for research integrity discussions at universities in São Paulo and in other states. He was the co-organizer of the III BRISPE. Paulo Beirão (PhD), Full Professor at the Biochemistry and Immunology Department, UFMG. He was president of the Brazilian Society for Biophysics (1994-1996) and the Brazilian Society for Biochemistry and Molecular Biology (2006-2008). He was also president of the Board of Trustees of FAPEMIG (2010-2011) and has acted as a representative of the scientific community in various committees on education, science and technology, including those at CNPq. He was a member of FINEP Advisory Council and of the committee that developed the 2011-2020 Brazilian National Plan for Graduate Studies, launched by CAPES. He is a member of the Brazilian Academy of Sciences and former director of the Agricultural, Biological, and Health Sciences Division of CNPq (2011-2013). He was Chair of the Commission on Research Integrity at CNPq (2011-2013) and is currently the director of Director of Science, Technology and Innovation of Minas Gerais Foundation for Research Support. Charles Pessanha (PhD), Full Professor of Political Science at the Graduate Program in Public Policies, Strategies and Development (PPED/IE/UFRJ). Dr. Pessanha is former President of the Brazilian Association of Scientific Editors (ABEC). He was one of the first Brazilian editors to discuss publication ethics in public forums and has played an important role in broadening RI/RCR policies at the editorial level. He is editor-in-chief of the journal Dados, a widely read Brazilian journal in the social sciences. Dados was responsible for the translation of the Singapore Statement on Research Integrity into Portuguese, which was published in the journal in 2011, some months after the original official release of the document. He has been active in addressing RI/RCR in the Brazilian editorial setting. He was a member of the Organizing Committee of the II and III BRISPE. André Pinto (PhD), Researcher at the Brazilian Center for Physics Research (CBPF). Dr. Pinto was Vice-President for Materials of the Brazilian Society for Microscopy and Microanalysis (SBMM) (2008-2010). As a former professor at the Military Institute for Engineering (IME), he was the first to implement a course on RI/RCR for graduate students at IME. Dr. Pinto now teaches the course as a visiting professor at IME. He has contributed seminars on RI/RCR at Brazilian institutions and collaborated in initiatives to foster RI/RCR at IME and at the Brazilian Center for Physics Research (CBPF), which was one of the co-organizers of the I BRISPE. He was a member of the Organizing Committees of the I, II and III BRISPE. Ricardo Bacelar, Lawyer, Specialist in International Law, Vice-President of the Brazilian Order of Lawyers in Ceará state (OAB-CE). Dr. Bacelar sits on the Federal Council of OAB, as a member of the International Relations of the Council. He teaches international law at the University of Fortaleza and is author of a proposition for combating plagiarism in Brazilian education, on behalf of OAB-CE. Dr. Bacelar has contributed to strengthening the dialogues between the sciences and the humanities, through his involvement in research integrity, which has been marked since his participation in the II and III BRISPE.